Interested to learn the Piano, but don’t know where to start? Don’t worry we have got you covered and this post will help you find an answer to all that is required to learn playing the Keyboard for beginners. Indeed, learning to play the piano could be a rewarding attempt because you can impress friends as well as family or play the piano professionally and become the next Mozart. The choice is endless and you are free to make one. The first thing that we should tell you in this regard is to invest in a quality bench. Although, a few with limited resources would not intend to get, yet if you can you must install one right away. It does not matter what form of Music you are learning on a piano (like it could be jazz, pop or classical), you must get a good bench for yourself. 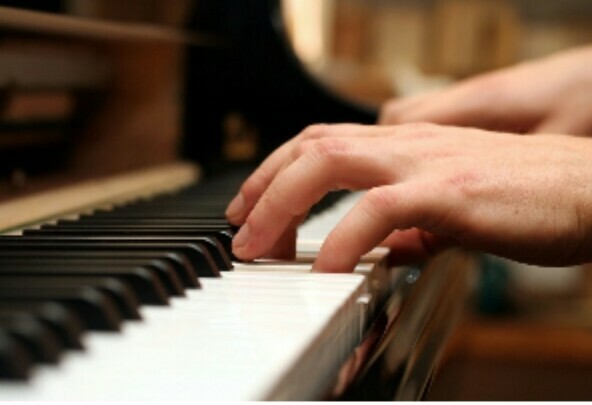 There are couple of more pointers that will come in handy if you go through the below mentioned list for learning to play a piano by novices. Have a look. Be relaxed – This is the most important part of learning any skill and music is no different. Loosen up your body of all the tension and just soak in the music. Take it easy, free your fingers of the stress and follow your heart. This is the best way to learn it and playing a keyboard is no exception to this at all. Learn the alphabets of music – This is an imperative and you must learn the keynotes of a keyboard. For example, the white keys stand for what is called natural notes and are represented by C, D, E, F, G, A and B (in this order). On the other hand, the black notes are better known as sharps and flats. They are represented by C#, D#, F#, G# and A# to begin with. Notes matter – Yes, they do and in music what else should? This is why; you should know the difference between a whole note that should last for 4 beats, half note which should last for 2 beats and quarter note to last for 1 beat. This will certainly take you to another level and enhance your skill set. Start reading the sheet – you may find this to be difficult in the beginning, but once you get a hang of the musical alphabets, it will be a cake walk for you. Yes, but you must start with easy songs as they are simple to learn. Read as many music sheets as you can, as this way you will only fine tune your act. Practice – Practice makes a man perfect and this goes without saying that you must practice your music. The more you practice, the faster you will learn. There is no end to practice and if music is your passion, then you must keep it that way. To be precise, practicing it with the C chord could be a way to do it right. The final thing that should be added to this list is that of experimenting. That is correct; you must test the various sounds and tunes to learn more. Learning has no boundaries and you must feel free to try out a few tunes of your own. Start learning with easy songs and then train your ears with these songs to ultimately learn how to play a keyboard for beginners. The post Learn To Play a Keyboard for Beginners appeared first on Live life in Better way with new Technology.